Mr Neville Tranter of Hawkins’ Birmingham Office recently gave a guest lecture, as part of a two-month long series of seminars, for students at The University of Warwick. The University of Warwick’s programme focused on Material Failures: what they are, how and why they occur, and how to investigate them. On 15 January, Neville gave his presentation, How to Investigate Material Failures, from the perspective of a forensic engineer. He talked the students through an overview of a typical investigation process, gave specific examples of his own case studies and covered various principles and approaches, as well as techniques and tools available in the field. While equipment such as magnification tools may come immediately to mind, Neville advised the students that communication is also fundamental in a materials investigation. 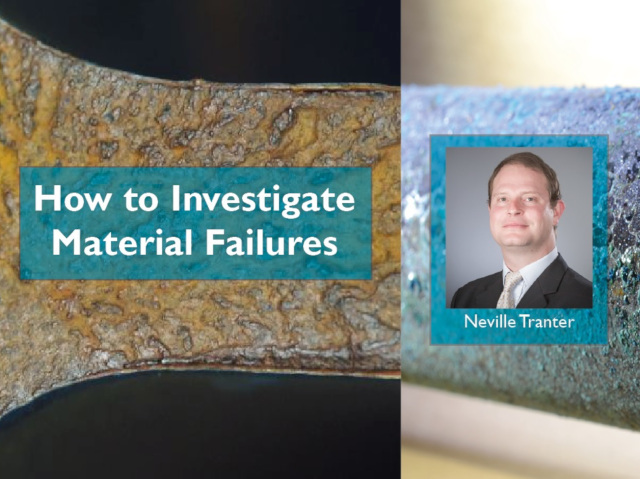 In material failures, the failure of a specific component often leads those involved to the conclusion that a component was either defective or abused. However, Neville discussed the importance of also considering several other factors that may have led to an undesirable loss of functionality: poor design, poor manufacture, or poor materials. Failure analysis requires a complete, thorough inspection of an item, and can never be limited solely to inspecting the component which has failed. Specific levels of failure causes can be defined as: physical, human, latent and root. Information used to investigate each of these levels include documents from manufacturers’ reports to witness statements, and data such as CCTV footage or alarm logs. Neville urges anyone involved in a case of material failure to preserve the evidence first and perform tests beginning with the least destructive in nature. Hawkins’ forensic scientists are able to perform such non-destructive tests as: radiography, magnetic particle inspection, eddy current testing, and dye penetration. Metallography and macrofractography can also later be used to assess the path of a crack, the sequence of a fracture event, or the relative stress levels on the item. The objectives of failure analysis are the development and improvement of a material or component. With these desired improvements comes the assignment of responsibility (to one of the above possible causes), and most importantly, the knowledge of how to prevent a failure’s recurrence.